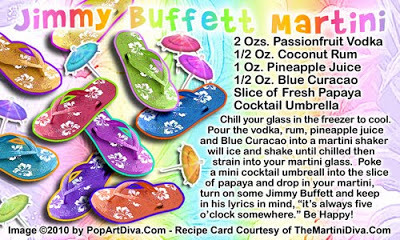 JIMMY BUFFETT MARTINI - Parrotheads Rejoice! I admit it, I am a Parrothead - I love Jimmy Buffett music. It's perfect tropical party music and needs a tropical party martini. A blue martini to match the beautiful tropical ocean and sky. The Jimmy Buffett martini is a luscious concoction of passion fruit vodka, coconut rum, pineapple juice and papaya garnish that gets its Caribbean blue color from Blue Curacao. Blue Curacao just happens to be a citrus flavored liqueur from the island of Curacao in the Caribbean! Can't get more island than that! 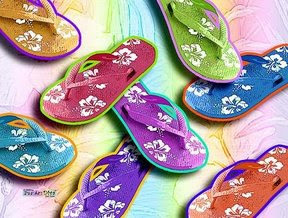 It should go great with that Cheeseburger in Paradise!